I saw this image on one of my favorite author’s Facebook page this week and had to smile. I liked how such a successful author like her (we’re talking about the NY Times and USA Today bestseller status) could relate to the struggles of a way lesser-known, indie author like me. In the four years since I started pursuing a writing “career” (I added quotes around the word career to show you how seriously I take it, haha), I have learned a lot about myself. I’ve learned how fragile my ego is, how much I base my self-confidence on what other people think, and how I do have what it takes to be an author. Wait a minute, how did that last comment sneak in there? 😉 More importantly, is it true or is it just a lie I tell myself as I tend to my wounded ego? If you were to condense my short time as a writer into a novel, it would be one of those “thrill of victory, agony of defeat” type of stories. The kind where the soldier rushes off into war with a youthful spirit and all the best intentions, only to emerge from the fight bruised and scarred and weary. But then, thanks to the pep talks of his loved ones, he goes into battle again with renewed hope and a belief that he can do it(! ), and he comes out a winner. Yep, like that soldier, I’ve been beaten down by rejection emails, gotten stuck in the trenches of writer’s doubt and considered giving up. But through the process, I’ve picked up lots of great tips from other writers, tried new techniques and developed literary muscles. And I’ve had to give myself one pep talk after another, talks that include just enough truth to keep me fighting. That was a review left by a reader of my first book. When I saw it, I took a deep breath and swallowed the lump in my throat. Then I read it again and found myself nodding … because every criticism she gave was true. And because of her honesty (and those of my critique partners and beta readers), I know how to improve and what it takes to be an author. The journey to becoming a writer is a bit like faking it till you make it. Faking it not by lying to yourself about how good you are, but by being truthful about the areas that could be better. It’s about showing up each day to do the hard work of a writer because that’s what you are. 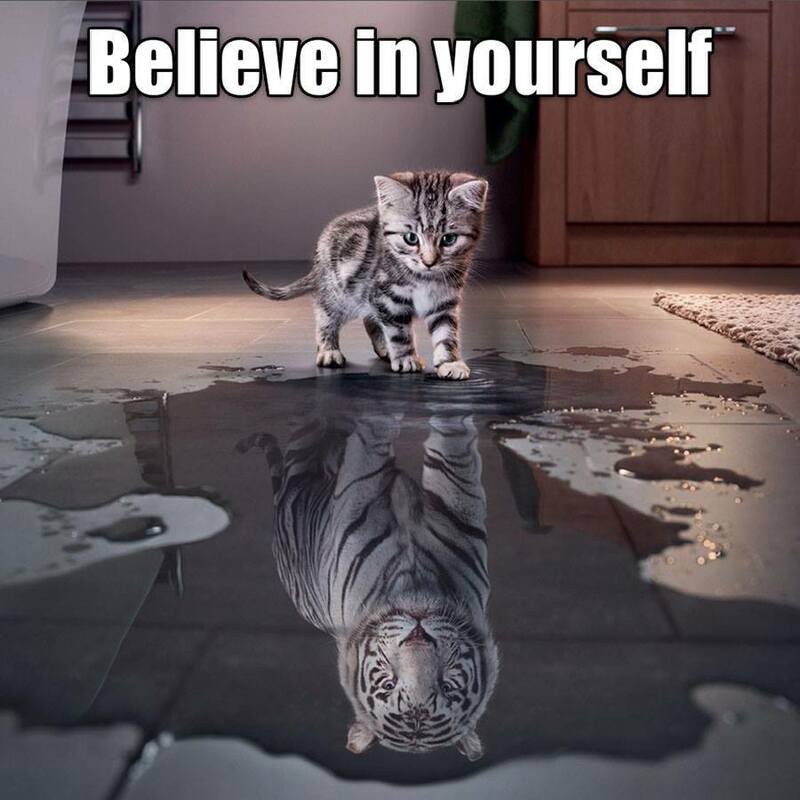 It’s about believing you have it in you to be a regal, strong and impressive white striped tiger, even when all you feel like is a tiny, clumsy kitty. 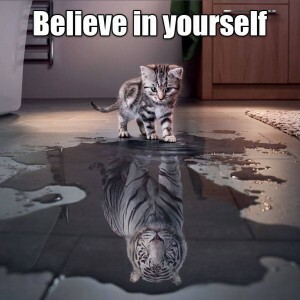 So, cheers to all of us kitty cats working on growing into big ‘ole tigers. Believe it, own it, and go for it. I think the perfect song for this post is Katy Perry’s “Roar”, which I’ve shared before, but this time I’m sharing a cover of it by Olivia, a pint-sized contestant on The Voice Kids Australia (we need a US version!) who has one fierce roar. What have you tried your hand at “faking it till you make it”? What did you learn from the experience? This entry was posted in Makings and tagged change, katy perry, susan hatler, the voice, writer.